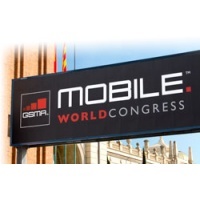 The world's main annual mobile event takes place this week in Barcelona. Tune in here for our full coverage, including hands-on with new phones from HTC, LG, Nokia, Sony, Huawei, and ZTE. Nokia today announced that it and partner Microsoft has refreshed the appearance of Nokia maps to unify the user interface of both the Nokia Maps and Bing Maps systems. Nokia says that the overarching goal of the redesign was to make the maps easier to understand, yet still provide detail and context for what's in view. Nokia said that it has reduced the amount of clutter and icons visible on the maps, as well as toned down its color palette. Nokia explains that maps that are more contextual when expanded, and more detailed when zoomed in. The new version of Nokia Maps will be rolled out gradually, first to maps.nokia.com, to m.maps.nokia.com (the mobile browser version for iOS and Android), and to the Nokia Maps app for Lumia smartphones. 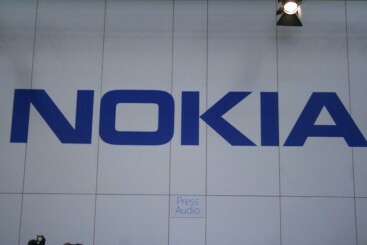 The availability of Nokia Maps will expand to other platforms and products from there. It's probably not coming to the US, but the Padfone is quite unique and interesting. 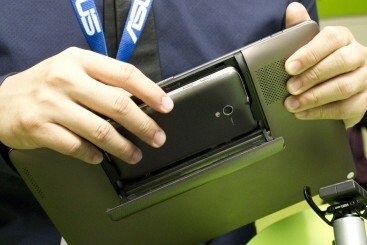 It's a phone that docks into a tablet that docks into a keyboard to make a laptop. We took a quick look. Doro announced its first-ever smartphone at Mobile World Congress. Wait, a smartphone for seniors? How on earth does that work? We tell you in this hands-on report. Opera Software today announced the Opera Payment Exchange, a service that it says will act as the go-between for mobile content providers, network operators, and billing systems to enable widespread mobile payments that take place within Opera Mini. Opera is offering APIs to developers so that they can add mobile payment options to their services that function without requiring customers to leave the browser. Opera says the OPX will benefit every part of the mobile commerce ecosystem. End users will get a transaction platform that they can trust to be secure. Operators will get another way to generate revenue and use their existing carrier billing infrastructure. Financial institutions will gain a consistent mobile payment platform with which consumers will be familiar. Opera believes the addressable market for this service, its 160 million Opera Mini users, will entice companies to adopt its APIs and Opera Payment Exchange. Oberthur today announced that is has agreed to acquire MoreMagic for an undisclosed sum. MoreMagic's chief product is called Mobile Money, which offers people the ability to make mobile payments, send money to others, as well as receive money on their mobile device. It targets both developed and developing regions. Oberthur, which makes smart card technology found in SIM cards, said that once the acquisition is complete, it will be able to offer a wide range of mobile financial services, including payment and money transfers and NFC-based transactions, to its customers. Samsung and Toyota today announced a new partnership with the goal of integrating smartphones into the in-vehicle infotainment systems of Toyota's cars and trucks. The system will use MirrorLink to make the connection. The cars will use a user interface created by Toyota that is safer to operate when driving a vehicle than the user interface of the smartphone. The system will let drivers access music, location services, hands-free calling, voice interaction, and text-to-speech features of the smartphone through the dashboard. The two companies expect this service to reach commercialization in the second quarter of the year. AT&T Mobility CEO Ralph de la Vega asked the wireless industry to agree on a single video calling standard that can be used by all devices and all network types so that customers can more easily use the service. As things stand today, there are plenty of video calling options, but the services are often only compatible with other devices running the same software and platform. De la Vega suggested that the industry use IP Multimedia Subsystems technology, such as the IR.94 video calling standard. When Apple introduced its FaceTme feature with the iPhone 4, it offered the technology to other companies, but so far none have taken up Apple's offer. The Device Renewal Forum today detailed its plans to create a series of standards that can be applied to refurbished and recycled cell phones and other electronics. The organization hopes that by setting minimum levels of value given to cell phones that are turned in at the point of sale, and standards for functionality and quality for resold phones, that consumers will be more apt to turn in old devices rather than store them or discard them. Goals include ensuring that only quality devices make it back into the market, creating a process for certifying renewed devices, and applying a label to certified, renewed devices that can be trusted by consumers to show that those devices still have value. Charter members of the Device Renewal Forum include Sprint, eRecyclingCorps, Brightstar, ModusLink Global Solutions, and the CDMA Development Group. 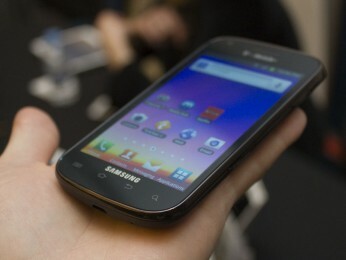 Samsung is showing off - for the first time in public - the speedy Galaxy S Blaze 4G for T-Mobile. The phone pairs a blazing fast processor with blazing fast data, in an affordable little package. Read on for our first impressions. Intel CEO Paul Otelinni today laid bare the company's plans to tackle the mobile space moving forward. The company expanded its plans for the Medfield line of processors. The Intel Atom Z2460 processor, announced at CES, will support speeds up to 2GHz. The new Atom Z2580, announced today, doubles the performance of the Z2460 and adds LTE support and will debut in the first half of 2013. The company also bowed the Z2000, which targets entry-level smartphones. Otelinni noted that its 2012 designs use 32nm processes, but it will move to 22nm in 2013, and 14nm in 2014, both making for dramatic increases in speed and power efficiency. ZTE may have announced eight new smartphones, but only two are headed to the U.S., the PF200 and the N91. Here are our initial hands-on thoughts. AT&T is working on a new service offering for application developers that, in effect, would charge the developer for the network data consumed by AT&T's wireless customers. The idea is to help application developers (specifically those that require heavy use of data networks) convince more users to sign up for their services. AT&T's Mark Donovan likened the system to an 800 number service for apps/data. "A feature that we're hoping to have out sometime next year is the equivalent of 800 numbers that would say, if you take this app, this app will come without any network usage," said Donovan to the Wall Street Journal. Donovan said that the service isn't a tax on data-heavy apps, but is instead a potential new revenue stream for the wireless network operators. Donovan said that the idea has garnered interest from its developer customers. 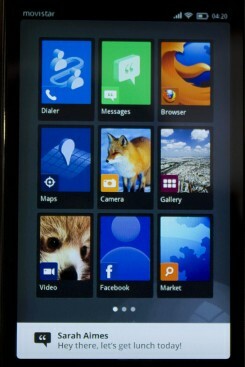 Mozilla's latest project aims to make the whole phone interface web-based; a kind of Chrome OS for phones. Actually called the Open Web Device project, it's really a set of open standards to make phones web-based. Read on for more details about this interesting concept and our thoughts on it. An HTC spokesperson today confirmed that Metro PCS, U.S. Cellular, and Virgin Mobile will all offer the HTC One V. The phone runs Android 4.0 with Sense 4, and features a dual-core processor, 3.7-inch display, and 5-megapixel camera. Doro today announced its first Android smartphone, the PhoneEasy 740. The 740 is a slider that includes a touch screen and a "large, well-spaced keyboard" for easy typing. 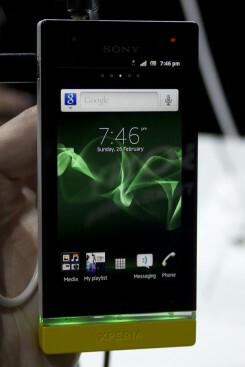 Doro provided few details about the phone, but said it will launch this summer. In conjunction with the PhoneEasy 740, Doro also announced its own Android skin for making the user interface as easy as possible to use for its senior citizen customers. The skin offers enlarged controls, PC-based set-up tools, and can also help recommend applications to download from the Android Market. Doro is also going to license the skin, called the Doro Experience, to other hardware makers. Qualcomm today announced a new series of modems that support HSPA+ Release 10 — including 84Mbps dual carrier HSDPA — and LTE Advanced. All three of the new modems support these technologies, and two (MDM9225 and MDM9625) also support LTE Carrier Aggregation / LTE Category 4, with data rates of up to 150Mbps on the downlink. These two chips are also backward compatible with cdma2000 (1X, DO), GSM/EDGE, UMTS (WCDMA, TD-SCDMA) and LTE (both LTE-FDD and LTE-TDD). All three modems are expected to sample later this year and reach production in the fourth quarter. Samsung's latest Galaxy smartphone comes with a pico projector. We go hands on with this tiny home-theater-in-a-phone. PF200: An Android 4.0 phone sporting a 1.5 GHz Qualcomm Snapdragon dual-core processor, 4.3-inch qHD display, 8-megapixel camera, and HD front camera. It also contains 1 GB of RAM, 4 GB of internal storage, NFC, DLNA, and HDMI TV output via MHL. On the network side, it supports LTE 700 (band 17, which is unique to AT&T) as well as LTE 850/1700/1900, WCDMA 850/1900/2100, and quad-band GSM. N91: Another Android 4.0 LTE phone, this time with CDMA EVDO in place of GSM/WCDMA. Specs include a 1.2 GHz dual-core Qualcomm Snapdragon processor, 4.3-inch display with 480x800 resolution, 512 MB of RAM, and 4 GB of internal storage. Other features include 5-megapixel main camera, VGA front camera, and DLNA wireless media streaming. Neither phone is expected until the fourth quarter of 2012. Broadcom today announced three new platforms designed specifically for Android 4.0 Ice Cream Sandwich smartphones. All three processor platforms are based on ARM Cortex A9 CPUs and include VideoCore graphics, HD video capture, dual-band Wi-Fi, GPS+GLONASS, NFC, and Bluetooth 4.0. The BCM21654G has a 1GHz ARM Cortex A9, 7.2/5.8 Mbps HSPA modem and low-power VGA video support. The BCM28145 and BCM28155 include dual ARM Cortex A9 cores up to 1.3GHz, 21/5.8 Mbps HSPA+ modems and HD 720p and 1080p, video respectively. All three chips were developed with a 40 nanometer process and include radio frequency power management. The chips are expected to ship in products during the second half of the year. Nokia couldn't make a big splash at Mobile World Congress without bringing one new Symbian Belle smartphone to the fold. The PureView 808 claims to be the best camera phone ever. Is it? Nokia introduced the Lumia 610 today at Mobile World Congress, an entry-level Windows Phone that steps down the specs in favor of affordability. 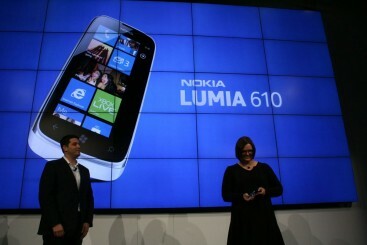 Nokia today announced the Lumia 610 Windows Phone. This phone is a low-cost model aimed at younger users. 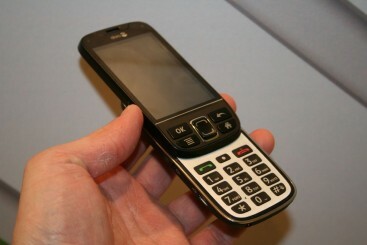 It has an 800MHz processor, 256MB of RAM, a 5-megapixel camera, and Windows Phone 7.5. It will debut later this year for about 189 Euro. 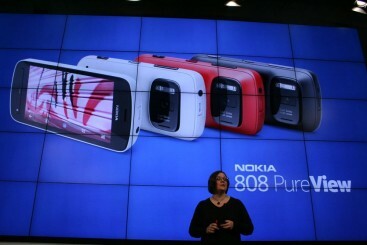 Nokia today announced a new digital imaging phone based on the Symbian Belle platform that boasts a 41-megapixel camera. The camera has new technology that can compress the information from seven megapixels down into one megapixel, which allows for amazing zoom capabilities. The phone also captures 1080p video with surround sound audio. 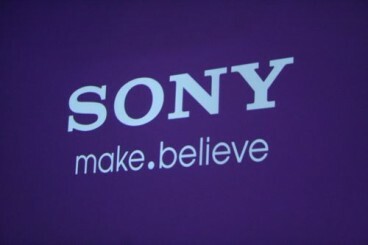 It supports Dolby Digital 5.1 surround and the latest Symbian software from Nokia. It ships later this year. Microsoft today announced that a beta version of Skype is now available for Windows Phone devices in the Marketplace for Mobile. The beta can be downloaded for free and the full launch is expected later this year. Isis today announced that it has signed its first financial institutions. Chase, Capital One, and Barclaycard have decided to back the Isis mobile wallet product. Customers of these banks will be able to add their credit, debit, and prepaid cards using the Isis mobile payment program. Isis is the joint venture created by AT&T Mobility, T-Mobile USA, and Verizon Wireless. It is expected to launch about mid year. Opera Software today announced Opera Mini Next, a new version of its browser for feature phones and smartphones. Opera Mini Next adds something called Smart Page, which will be added to the Speed Dial shortcuts that are built into Opera Mini. Smart Page will give feature phones "smarter access to social networks, the latest news, and more" by adding Facebook and Twitter integration to the Opera Mini landing page. This feature is being previewed and won't launch fully until later this year. At the same time, Opera has released an updated version of Opera Mini for Android smartphones and promises smoother browsing. Last, Opera also released a final build of Opera Mobile 12 that adds WebGL on Android phones; RagnarÃ¶k, Opera's HTML5 parser support; support for camera use in the browser; and more customization tools in the Speed Dial settings. It is available in the Android Market starting today. Qualcomm today announced an update to its SnapDragon line of processors. The SnapDragon S4 Pro uses the same basic architecture but updates the graphics processing unit to the Adreno 320. This GPU supports higher resolution displays, and other hardware/software configurations that will common among S4-class devices. The S4 Pro version of MSM8960 can handle devices as advanced as Windows 8 machines. 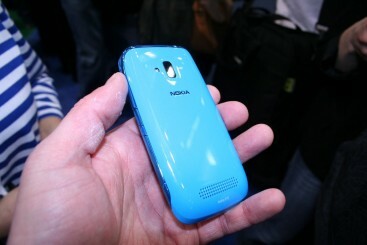 Tune in for live coverage of Nokia's announcements at MWC this year. 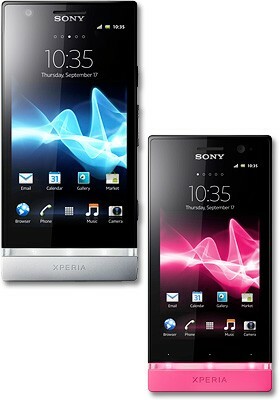 The Xperia U is the new little sister in the 2012 Xperia family. This cute little phone bears a very strong family resemblance in both hardware and software, while bringing the size and price down, and adding customization features to boot. Read on for our thoughts. 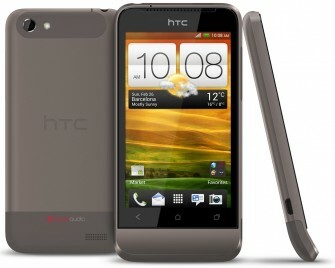 HTC today announced the HTC One V, and Android 4.0 Ice Cream Sandwich phone that harkens back to HTC's design language of old. One of its most prominent design features in the chin that's below the display. 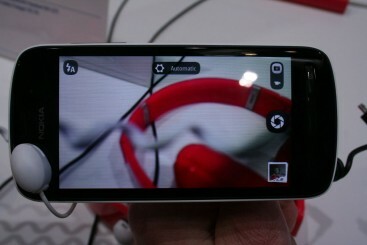 The One V includes Sense 4.0, a dual-core S2 SnapDragon processor, 5 megapixel main camera, and a 480 x 800 3.7-inch display. Other specs include Wi-Fi, Bluetooth, aGPS, and support for microSD cards. Availability and pricing were not disclosed. HTC today announced a new strategy for naming its devices. 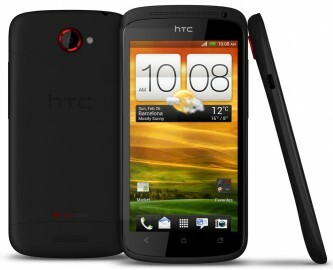 Moving forward, all HTC's Android smartphones will fall under the "HTC One" brand. The new naming regimen plays into HTC's plans to bring fewer devices to market this year. 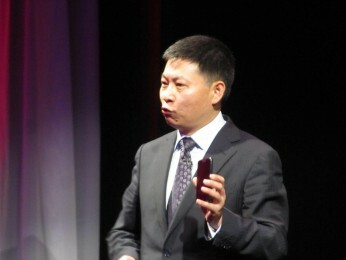 The phones that it does announce throughout 2012 will be more widely available across regions and geographies, and will be sold under the same name. Carriers won't have their own, branded versions of HTC devices. The first devices to fall under this new naming scheme are the HTC One X, One S, and One V, which were announced at Mobile World Congress in Barcelona. The 4X HD from LG is an interesting smartphone in that it is one of the lightest I've ever held yet it still manages to include a stunning display. Here are our first impressions. LG's newest 3D-capable phone makes improvements on last year's model, but we're not convinced updated specs make for a better phone. 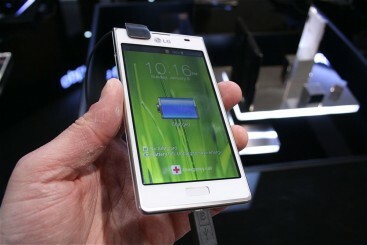 LG's Optimus Vu targets the phone-and-a-tablet seeker with its large and wide 5-inch display. Here are our first impressions of this behemoth. We take a quick hands-on look at the new Ascend D series, which includes the just-announced D1 and D quad. 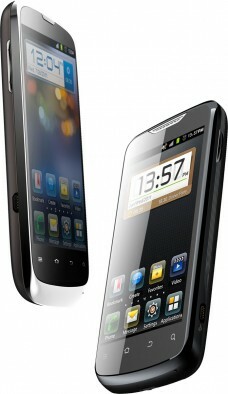 Huawei today announced the "Ascend D quad", it's highest-end smartphone to date. The Ascend D quad is powered by Huawei's own quad-core processor, which it claims is the fastest. Other features include a 4.5-inch display 720p HD display, 8-megapixel backside-illuminated camera, 1.3-megapixel front camera, and 1080p HD video capture. The battery is 1800 mAh, all in a body that measures 8.9mm thick. The company also announced an "XL" version with a larger battery, and a "D1" version with a dual-core processor and LTE. The D quad will come in a penta-band WCDMA version initially. The phone is expected to launch in Q2 globally, including North America. The D1 version will come first, in April. We'll be live from Huawei's press conference today in Barcelona. Samsung today announced a new version of its Exynos processor with four application cores. The new chips use a 32nm processes that leads to an approximate 26% improvement in computing power while also delivering a 50% improvement in battery life. The processors can be clocked up to 1.5GHz. More details will be provided by Samsung in the coming days. 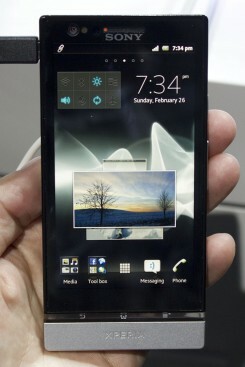 LG today announced the Optimus 4X HD, the first phone with the Nvidia Tegra 3 quad-core processor. 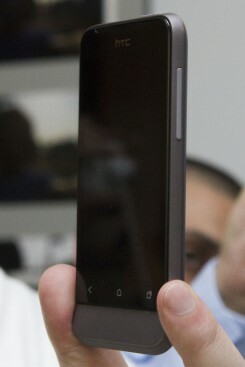 The phone sports Android 4.0, a 8.9mm-thick body, and a 4.7-inch true HD IPS LCD, like the Nitro, but slightly larger. The Tegra 3 chip in the Optimus 4X clocks in at 1.5 GHz and includes a fifth processor that handles simple, low-power tasks such as phone calls, music playback, and email notification, enabling the main four cores to power down when the screen is off or locked, conserving battery life. 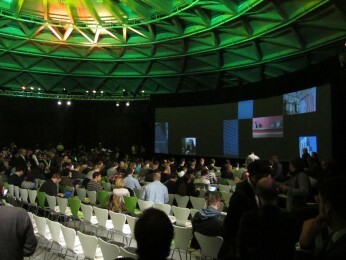 Few other details were announced, although the phone will be on display at the MWC event next week. 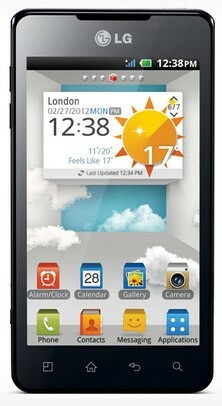 The Optimus 4X HD is planned for release in Europe in the second quarter of 2012. 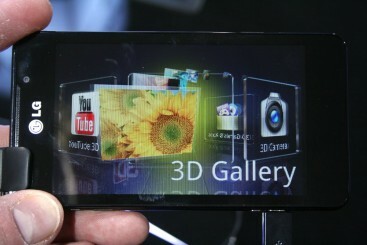 LG today announced the Optimus 3D MAX, an apparent update to last-year's Optimus 3D. The 3D MAX features 2D and 3D image/video capture and playback with twin 5-megapixel main cameras and a 3D display. LG says it can convert Maps and other items into 3D for a more immersive experience. It also has a VGA user-facing camera for video chats. Other features include a 1.2GHz dual-core processor, 4.3-inch QVGA display with Gorilla Glass 2, 8GB of storage and 1GB of RAM, support for HSPA+ at 21Mbps, and support for NFC and the new LG Tag+ system. It can connect to 3D monitors via an MHL port and supports DLNA for media sharing. 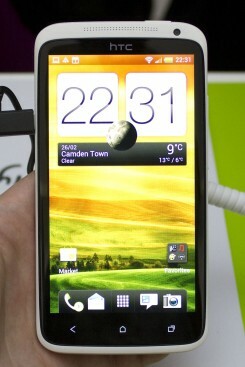 The LG Optimus 3D MAX is launching first in Korea followed by other world markets later this year. LG today revealed a few details about its new L-Style series of Android smartphones. According to LG, design and attention to detail are at the heart of the L-Style phones, which are based on five aesthetic elements: modern square, floating mass technology, seamless layout, harmonized design contrast, and sensuous slim shape. LG took these concepts to craft phones that are thin, easy to hold, have sensible key layouts, and are pleasing to look at. 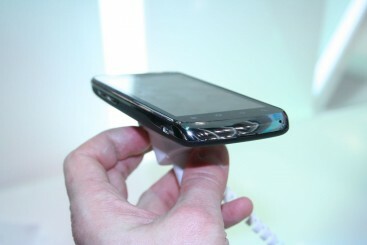 The models, Optimus L3, Optimus L5, and Optimus L7, have 3.2-, 4.0-, and 4.3-inch displays, respectively. 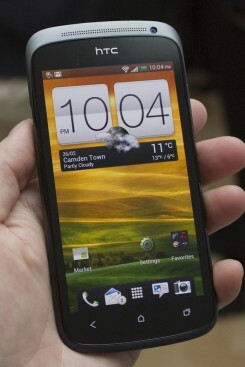 The L3 will launch in March with Android 2.3 Gingerbread, but the L5 and L7 will launch later this year with Android 4.0 Ice Cream Sandwich. LG said more details about the L-Style phones will be made available during the Mobile World Congress trade show, scheduled to start February 27. ZTE and Nvidia today announced the Mimosa X, a new Android smartphone that includes both an Nvidia Tegra 2 processor and an Nvidia Icera modem chipset with support for 21Mbps HSPA+. Nvidia purchased Icera in mid-2011 and the Mimosa is the first device to contain an Nvidia modem, CPU, and GPU. 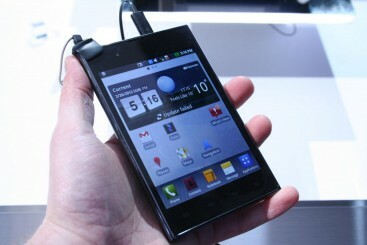 The Mimosa X boasts dual-core processors and will ship with Android 4.0 Ice Cream Sandwich. Other features include a 4.3-inch qHD (960 x 540) display, a 5-megapixel camera with HD video capture, 4GB storage, stereo Bluetooth, DLNA, Dolby sound, and gyroscope. ZTE said the Mimosa X will be available starting in the second quarter and it is aimed at the middle of the smartphone market. Pricing was not disclosed.